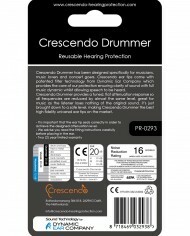 Crescendo Drummer ear plugs are part of the Crescendo Pro Music range. 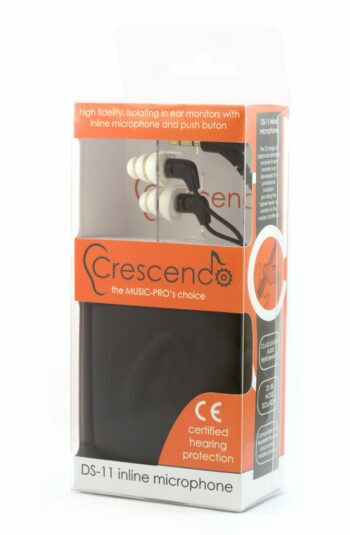 The acoustic filters in the ear tips in this range provide a tuned, flat attenuation response so all frequencies are reduced by almost the same level, great for music as the listener loses nothing of the original sound, it’s just brought down to a safe level, making Crescendo Pro Music the best high fidelity universal ear plugs on the market. 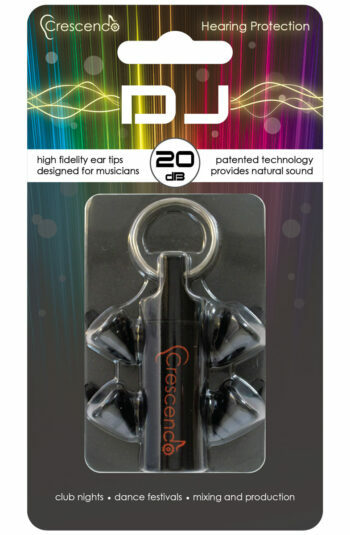 Crescendo Drummer has been designed specifically for musicians, music lovers and concert goers. 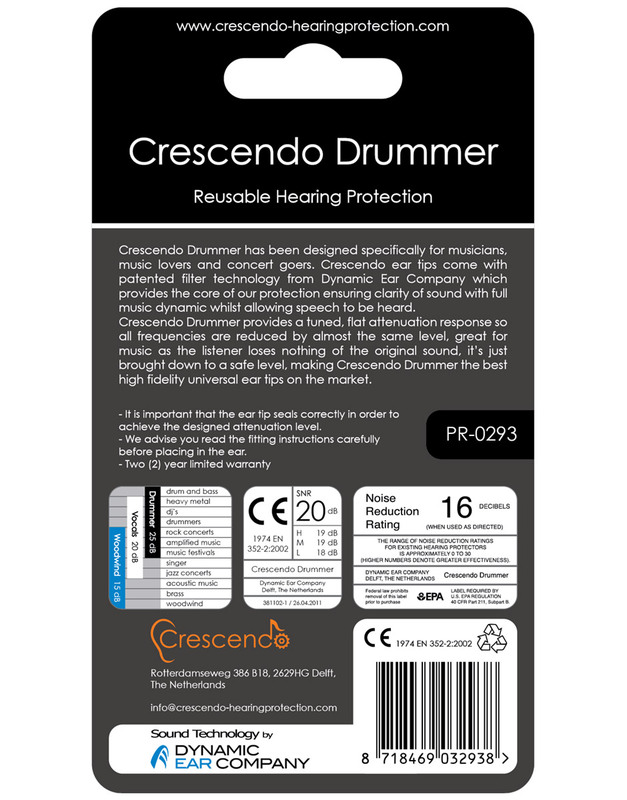 Crescendo Drummer ear plugs come with patented filter technology from Dynamic Ear Company which provides the core of our protection ensuring clarity of sound with full music dynamic whilst allowing speech to be heard. 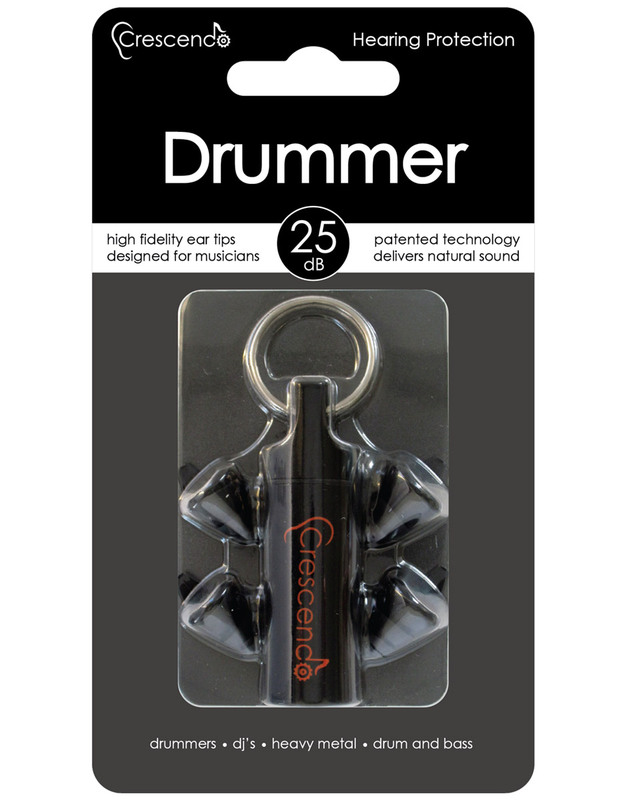 The Drummer Ear Plugs contain the same acoustic filters that are used by many professional musicians in custom earmoulds. 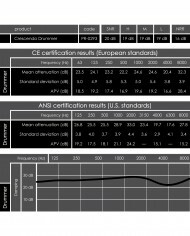 • Two acoustic linear damping filters providing 25 dB damping and which are 100% acoustically tested. 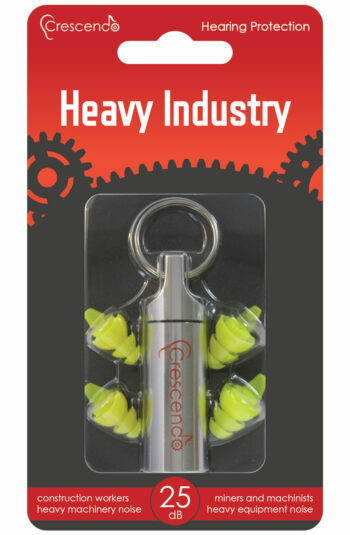 If you are a drummer, gig goer or play in a loud band then these earplugs are exactly what you are looking for! The plugs are so comfortable that I don’t even notice them when they are in, and the flat attenuation is remarkable. Like all drummers, I genuinely enjoy the feeling of being in a loud environment (although my ears will tell you otherwise). These earplugs somehow make you feel like you aren’t wearing ear protection at all, by preserving all the sonic information of the sound source (guitar, drums, vocals), while completely saving your ears from ANY post gig ringing or irritation. 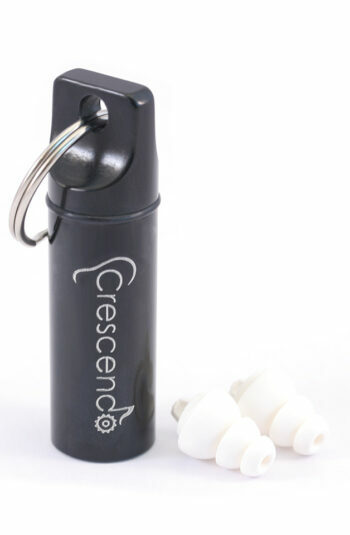 These earplugs are a must have for me, and I bring them to every gig I play/attend. 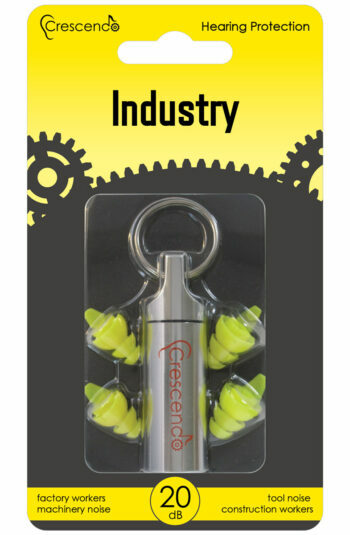 When my friends see me putting in my earplugs when I go to gigs they will often say “But can you even hear what the band are playing with those things in your ears? !”, and I reply “Yeah, I can actually hear what they are doing better than you!”. Absolutely amazing. 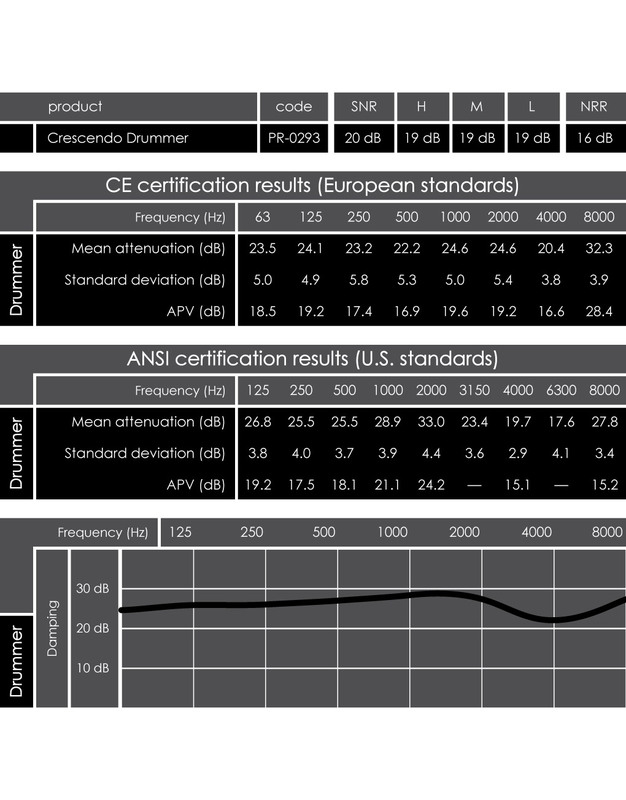 The sound volume is significantly lower of cause, but the entire audio frequency range is still let through. 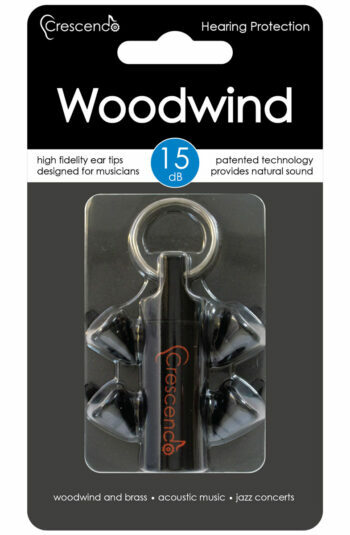 I enjoy concerts a lot more with these earplugs, would also recommend these, when the kids don’t agree. 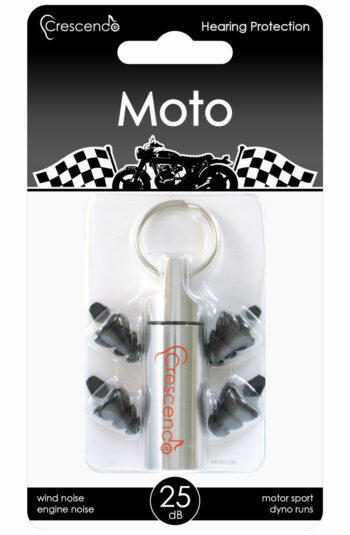 Best earing protections I’ve ever had !!! 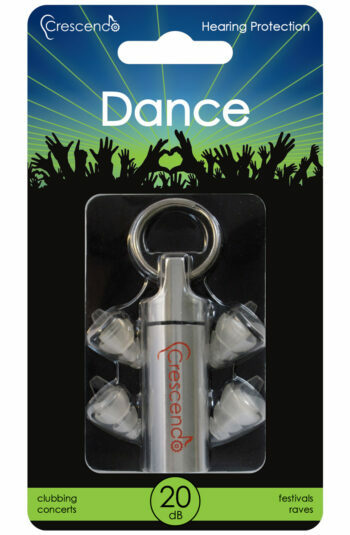 If you like loud music concerts and festival (Metal for example) as I am, you’ll need these. 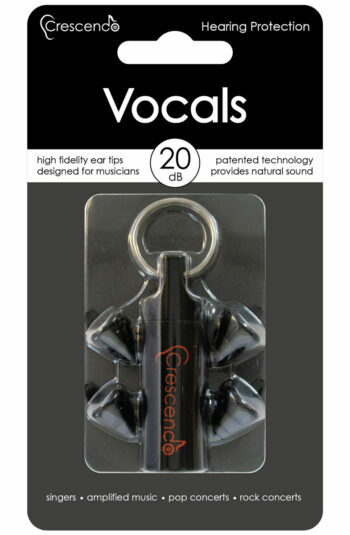 With these on, the music is well attenuated, but not degraded, but the voices are still clear, and you can hear your friend speaking without any trouble. They fit great without even notice that you are wearing anything and they do excactly what they say they do!! 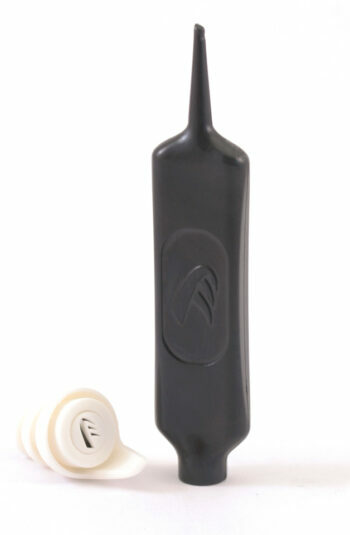 The soft material is gentle on the skin and the shape is well designed to fit the ear space comfortably. 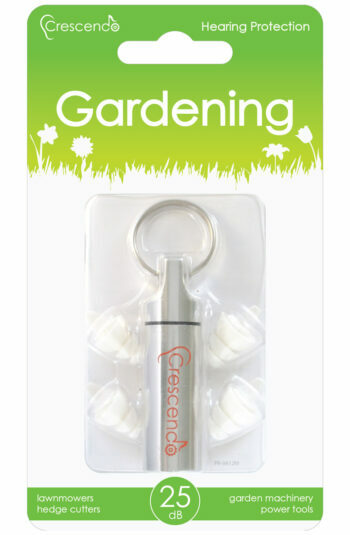 The small tab allows you to remove the plugs with ease. 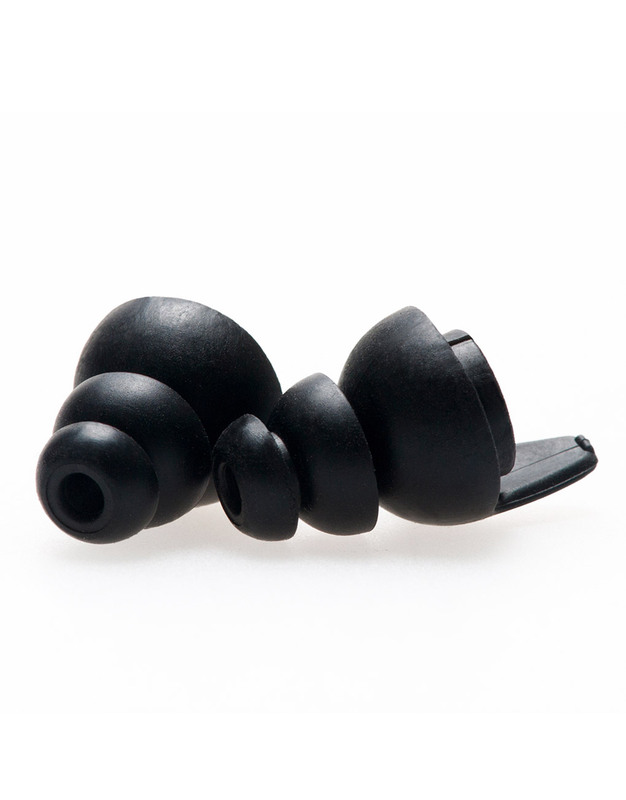 Living in a high density urban city (Hong Kong) with heavy noise pollution, the ear plugs have considerably reduced intrusive sound experienced on the street and in public transport. 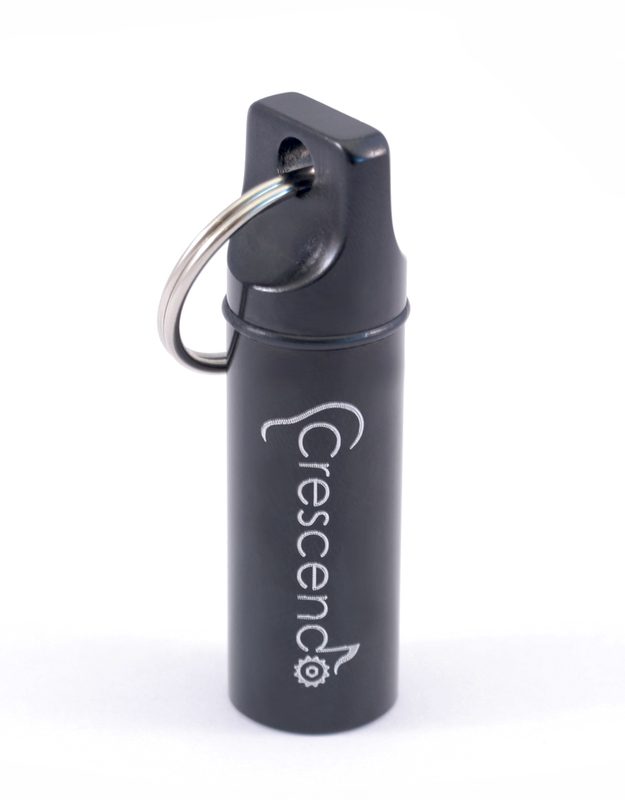 The light and compact metal screw-top holder can be attached to a key ring for easy access. A ‘sound’ investment! 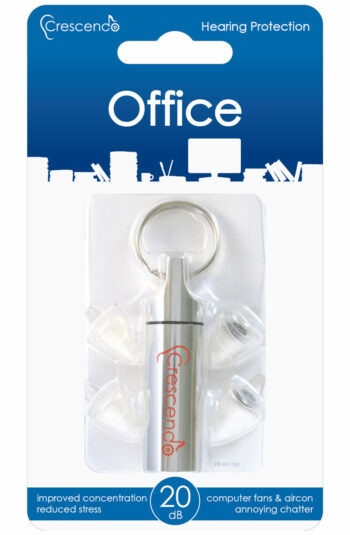 Note: Delivery is secure and prompt (next day) but the cost is very high – the cost of the product itself.